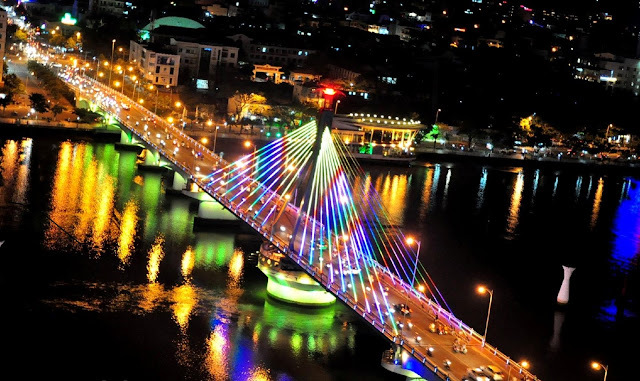 Do you think Da Nang is very boring at night? Think again. Why not having a tour around the city, hang out with locals? Da Nang by night is a MUST do activity. You will see the thrilling views while riding on this beautiful roads, enjoy best local food and explore REAL Danang ‘s life. Cầu Rồng Cây (dragon bridge) is dragon – shaped bridge that have length up to 666 meters, represent the symbol of Da Nang city. 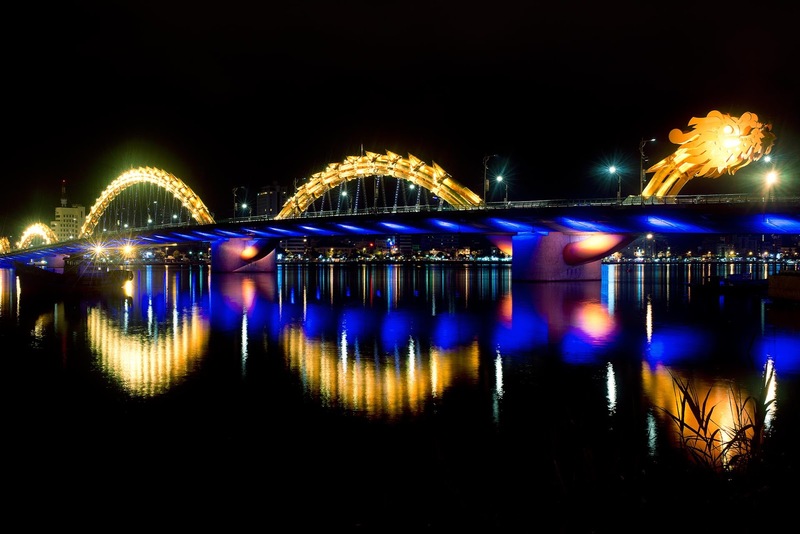 As weekends come, local people and foreign tourists in Da Nang have chance to enjoy a special performance on this bridge at 21.00pm. That’s the Flame & water injection performance. The Han bridge (built in 1998), which is crossing Han river, is also an un-detachable part of Da Nang, too. Many tourists at their first-time in Da Nang were so excited at the movement of this unique bridge. Hence, even Da Nang citizens are also excited to witness the bridge slowly moving. It’s best time to see how the bridge swaying at night, when the city lights up, both the river and the swing bridge seem to be dyed in brilliant color palette of the system of decorative lighting along the streets. Han River Bridge at that time becomes a splendid lighting architectural highlight among dreaming Han River. It seems that all poetic beauty of Da Nang only reveals in the most flawless way in the space of windy and cool Han River Bridge. 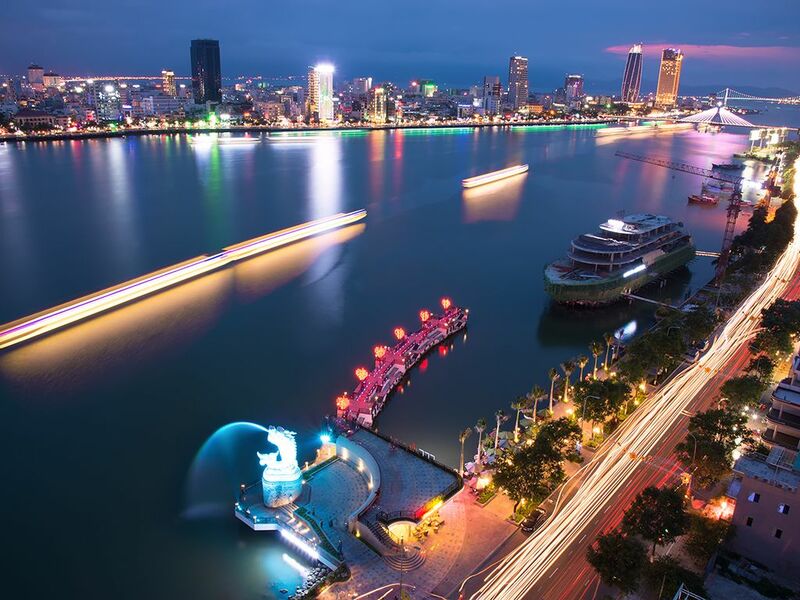 This harbor was built on the eastern bank of Han river, right at the top edge of Dragon bridge, with a huge investment of more than 203 billion vnd on a magnificiant area of 56,766 m2. There are two most prominent points there: Carp turning into Dragon statue and the Bridge of Love. For best view of landscape, you should stand at the Carp statue and seeing the yatch landed the harbor. What would be more romantic and memorable than standing here and give each other your kisses and special locks on the “Bridge of love”. Located at the downward of Thu Bon river, away from Da Nang city approximately 30 km to the south, Hoi An once had been the most international harbor of the Southeast Asia during the 17th and 18th centuries. 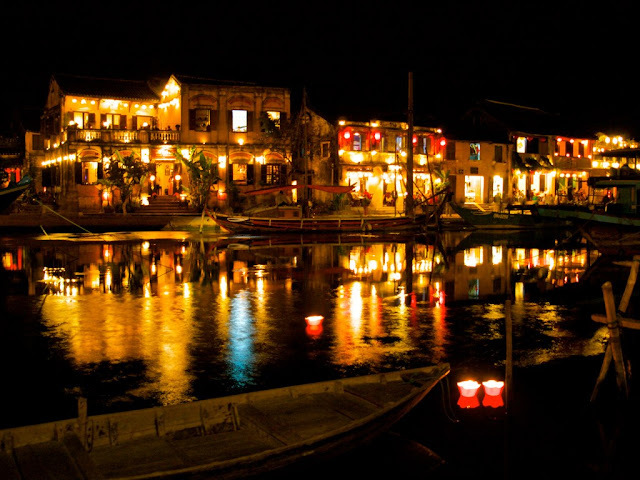 Nowadays, Hoi An is one of the top visit for thousands of foreign tourists thanks to its antique view and peaceful atmosphere. Hoi An will be more beautiful at night when all the crowds, the hustling life quit, there is only ancient houses standing side by side in the silence. Everything was kept the same as hundred years ago. Therefore, most of tourists choose to arrive at Hoi An at night, and enjoy the fresh cool air in the night.